Join us for a family friendly event to Mysterious Minds Escape Room! We will be joining in fellowship to have a pizza lunch after the service on April 7th, then head to the Escape Room on Spadina for 1:30/1:45 bookings. Cost is $25 for adults (age 15+), and $20 for children. 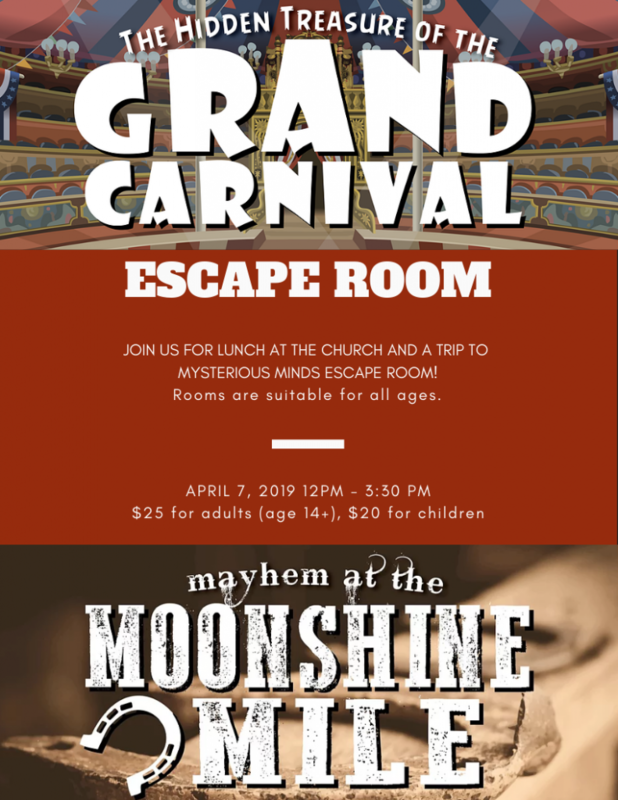 We have booked two rooms: The Hidden Treasure of the Grand Carnival, and Mayhem at the Moonshine Mile. Please let us know if you are planning to attend so we can have an accurate estimate of numbers. We have limited spots so please register early!